AI (Artificial Intelligence) is enabling a new toolset for marketing that promises to increase your visibility with potential customers. People walking by your business or some location selling your products will soon be getting a message or informational video selling them on the benefits of your goods and services and perhaps offering them a special discount. While there has been a huge investment in perfecting these AI offerings, most businesses still have difficulty telling their story once they have an audience. If the person gets an informational video that doesn’t make sense, takes too long to tell or is just plain boring, customers will probably remember NOT to buy from that vendor in the future. Businesses need to learn how to communicate with their potential customers in the digital world before they make mistakes that can ruin their brand. Many are turning to professional video and filmmakers to tell their story. Unfortunately, most of those filmmakers don’t know how to tell your story and will produce a useless and sometimes harmful video that sets your business back instead of moving things forward. What are the benefits to the customer (You’ll stop being hungry while loving the sandwich you are eating. In fact, you may want another!). videos that do nothing to generate interest in their products? The reasons are many, but one of the biggest is that telling the right story in the right way can be hard for most people. Also, much of the messaging done today, especially video, is done in a manner that cannot be quickly and easily absorbed by the customer. Videos become longwinded explanations best suited for trade shows or become too quick and cryptic to allow the customer to understand why they should bother with you in the first place. customer without waiting for serendipity to happen. To position the content in the right way, every message you create must be accompanied with detailed metadata to will allow the AI tools to pick the right messages for the right people. Today’s content is usually metadata poor and cannot be used to target interested customers. It’s the metadata about the story that helps find the interested potential customer and the story itself that helps get the business. 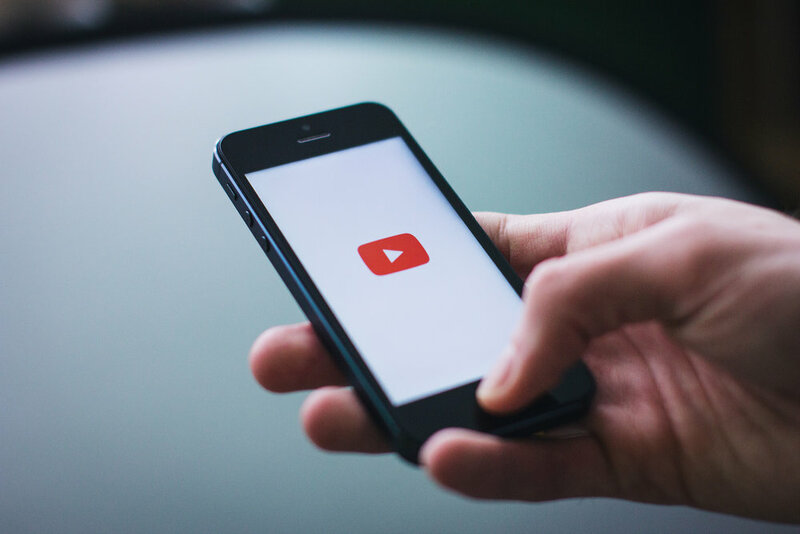 It really is no longer a matter of putting a video out on YouTube for the customer to find or to be linked to from your web page. Most informational videos will soon be pushed to the viewer through AI. Those viewers may never go to your web page ever. That’s good news for you if you have the right story ready for them. It’s bad news if you have the wrong story. Ready to find your right digital video blockbuster? For advice and digital strategy for more effective engagement, Let's talk! A frequent question I have been ask lately "What are the leading digital trends for the year ahead?" Through dialogs with customers, business and technology leaders, and reviewing dozens of independent surveys and reports - Below is a list of 7 digital innovations for 2018 which we feel will make a difference. #1 - Artificial Intelligence. The ability to leverage A.I. is already an industry differentiator - and knowing where and how to start is key. Three strong steps to help you get started: Understand the differences between RPA, autonomics, machine learning, and cognitive computing solutions. Understand how your enterprise provider of ERP and CRM is either delivering - or intends to deliver for use in their platform. And decide how your employees and customers will engage with the experience ahead. #2 - Augmented reality (and audio engagement) and how to successful leverage for customers. Beyond the possibilities of virtual real estate walk thrus or ordering soap replacements from Amazon- which parts of your business and customer services become vastly different when augmented or voice enabled. Consider how the customer experience can change (and their expectations most certainly will) - and aim for where the hockey puck is going in your industry. #3 - IoT and edge based computing capabilities. IoT has become mainstream, smart cities are leading the way - and analyzing and acting on the data flowing insights is optimally done at the edge (think hybrid cloud / solutions that act on real time streams like traffic flow through an airport, but do not require a 'home run' for analysis and reporting to a corporate data center). What is your ability to act on the possibilities of the IoT / cloud edge solutions that are now available? #4 - Blockchain and effective distributed trust based solutions. As more companies and industries get their head around distributed trust - blockchain will disrupt many existing 'trust and verify' processes and businesses. Industries (think banking, logistics, manufacturing) which rely on extreme accuracy and precision of information (and have regulatory implications) - are already moving on these innovations. What are you doing to ensure your place in the blockchain revolution? #5 - Dark analytics and Insights. Sounds like Star Wars stuff. This is life after Big Data - focusing on the insights that make a difference found in the information previously so vast or complex it was not link-able to the bigger business picture. Now it is. The questions and answers to be found will grow exponentially in the year ahead - and combined with an A.I. solution to help surface - you will be leading (or lagging) your pack. #6 - Pick a better cloud platform / partner (again). As all of the major players have put out their strategies and new solutions for the year - making choices between Microsoft, Amazon, Google, IBM, and Salesforce becomes a major business / partnership choice for the year+ ahead. Microsoft in particular has stepped up their offerings and capabilities with Azure. Take more than a few minutes to study the options. The pricing. The value added services and eco-systems. It is going to make a big difference if your business relies on integrations to maximize value in the business. #7 - Lastly, information security and real time risk management automation. This needs to be on every company's 'deal with asap' list - automation and management / talent to address the continuous war on information. As more information security providers are embracing and offering automated solutions, companies will need to have a clear (and continuously updated) picture of risk and response to ensure their stakeholders and employees / customers of optimal security operations. The days of 'once a year' security audits and response lists are behind - real time and autonomous is where companies need to be today. While not exhaustive - the 7 above are a strong place to start in digital innovation for 2018. Curious to learn more about these solutions and and how they are part of a digital business in the new year - get in touch! Digital Labor. Artificial Intelligence. Cognitive Computing. Robotic Process automation (RPA). The possibilities of new A.I. business model are increasing by the month, as is the hype. Finding the right platform, adoption process, and long term value can be a challenging journey. Insights on what works and why are becoming more clear, and sharable. Earlier this month, I participated in a panel on robotic process automation and cognitive computing sharing such experiences, as part of the DePaul University Digital Innovation conference. I was joined by several business leaders with deep practical experience, including Dwayne Prosko from Deloitte, John Stiber from Mondelez International, and Steven Pyke from W.W. Grainger. The panel discussion was wide-ranging, and provided the assembled audience much to consider with the challenges and benefits of digital automation. Automation, of any sort - is a process transformation before it is anything else. Realize you need to focus on the process(es) you wish to change, understand the why (business and mechanical), consider the human factors (job / performance changes and differences in work ‘speed’), and evaluate which platform(s) help achieve the business / process goals. Do not start with an automation 'hammer' and look for 'business problem nails' to hit. 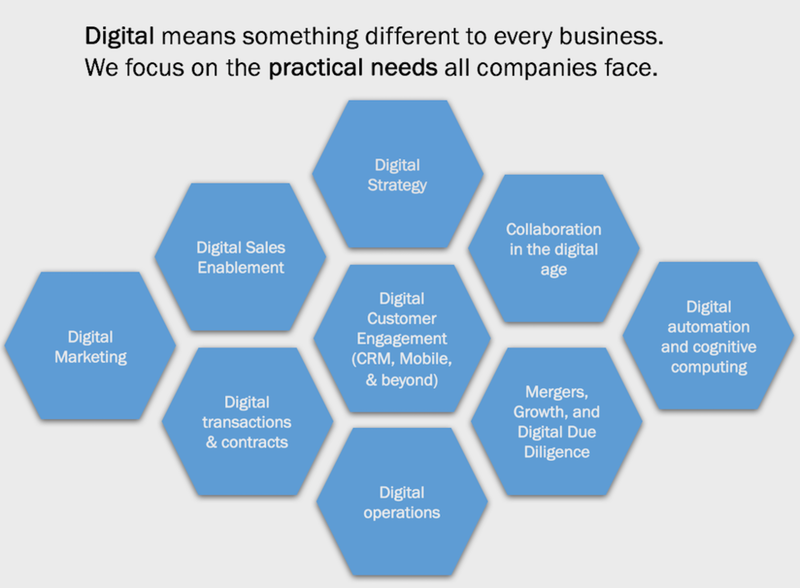 There are many layers (and complexities) to digital automation. While the business process itself may jump off the page needing to be improved - deeper thought on the underlying systems, processes, and connective tissue of a business function need thought. Something as simple as a Windows software patch, normally done without thought to the impact in a company - can completely disrupt the performance of an automated platform that is handling thousands of returns an hour. Third parties are also bringing their own automation tools to the table now - consider how your automation solution will interface with third parties for joint automation (e.g. procure to pay, or payroll processing / outsourcing). You might be surprised which platforms do and do not work well together. Digital automation does not mean digitally unattended. The ability to automate a business process or event does not preclude the need for human supervision. Sampling for accuracy in the automation, review of exceptions, and performance tuning are all part of the journey of digital automation. Ensure you have a clear vision who will be 'managing the digital labor / platform' (both from IT and from the business) as part of your change journey. And be ready for surprising adjustments / changes to the situation as you accelerate the pace of performance. Crawl, Walk, Run, then Fly. Many times, businesses respond to the hype that can proceed a digital automation investment. The better advice - be clear on the why, take it at pace and go patiently forward. Focus on a single function / department business process change you want to transform as a starting point to prove out the benefits, and increase organizational buy in. Learn how the business responses to faster, increased accuracy, or differences in efficiency. Ensure your culture can sustain the change and grow on the knowledge gained from the automation experience (vs. rebel and resist - see the next point). Human / cultural alignment is key to success. Putting a human face on the automation process increases the acceptance and utilization / leverage of digital automation in a business. Something as simple as ‘naming’ the automated platform, including in work schedules, and ensure team members who are working with the digital colleague’ understand the ‘why’ and the ‘WIFM’ - improve the chances of cultural adoption long term. If you do not address - myths and worries will manifest around the 'real reasons' for the automation change- something which can become difficult to overcome in a culture that relies on the automation process. The idiom - “Horses for courses” certainly applies to digital automation. A key insights agreed: No A.I. platform can do it all in the area of digital automation. Companies are now finding that ‘moonshot’ A.I. programs that focus on becoming a digital game-changer can quickly miss the value target (and revenue / ROI expectation) if implemented in an eco-system or scenario that fails to integrate the digital automation itself. Consider having a 'automation eco-system' vs. a singular platform. 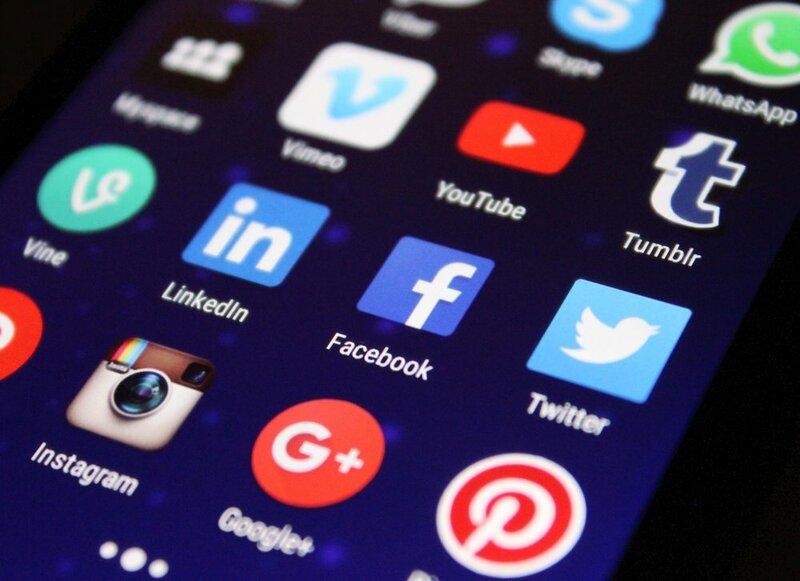 Instead of relying on a singular answer - consider how you can optimize the benefits of multiple platforms to your digital advantage (and do this over time, learning and absorbing in your culture). An automation eco-system model: an RPA solution gathering normalized data and performing entry / validations at record speed, a digital autonomics platformevaluating and managing exceptions and acts as an ‘engagement agent’ to support high volume customer interactions, while a cognitive computing solution provides analytics, guidance, and exception ideation that helps surface new value in the business. Leveraging these insights above, achieving a digital automation platform (or eco-system) for your company can be a smoother transformation in the digital world. 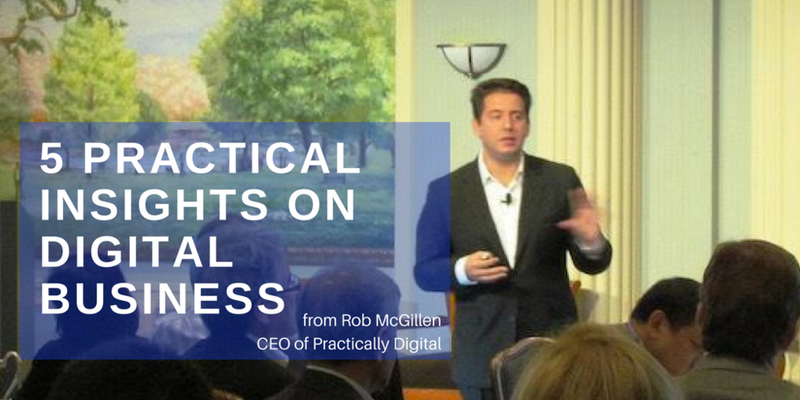 Focusing on process, the change journey (and the human factors), and finding the right digital 'horses for courses' will improve your chances for digital success! In June 2017 , the Institute for Robotic Process Automation and Artificial Intelligence (IRPA-AI) conducted a study of business technology leaders in more than 22 industries and 40 countries, which showed that digital automation has become part of almost every process and industry in the world. But where—and how—does RPA fit into this? While RPA can drive a lot of process efficiencies and cost savings, it also can be a huge financial undertaking that requires a lot of change management. So, how can your organization be sure it’s implementing RPA where it will be most beneficial to the bottom line instead of just using technology for technology’s sake? In this third post of the three-part blog series on RPA, we are going to talk about how businesses can ensure a successful RPA implementation and what to consider prior to rollout. The IRPA-AI survey noted that the processes most ripe for RPA are typically in shared services organizations – areas where there’s a lot of repetition and well-defined processes but also a lot of human intervention. Surveyed companies specifically called out financial processes as the most common processes they planned to automate in the future. RPA can help improve financial processes by automating expense receipts, collections, approval workflows and some standard reporting. The second most common area prime for RPA mentioned in the survey is Human Resources (HR). RPA can enable HR staff to rapidly track timesheets, store documents, calculate benefits, and issue on-boarding information to employees. Finally, the survey also mentioned procurement as another target area for RPA influence. The automated approval of requisitions and invoice processing can significantly help reduce human intervention in procurement processes. Not only can organizations reduce costs and gain efficiencies by using RPA for procurement, but they also can improve the vendor management process with more communication and better expected planning. There are other areas in which RPA can fit as well, including high-volume and high-frequency activities, repetitive, transactional activities, data-intensive activities, rule-based activities (interrogation of data, tax and compliance), tasks that pull data from disparate systems, and activities with standardization opportunities. Define “transformation” before thinking about the tools. Technology does not solve the problem. It’s the vehicle to get you to the solution. Would you select building materials before designing the house? Define automation objectives – e.g. headcount cost reduction, improving productivity, accelerating financial reporting cycles, redeploying resources to higher-value activities, enabling the organization to bring roles back onshore while maintaining an efficient cost structure, or improving compliance and controls. Establish the right governance. To accelerate transformation, an organization will need to expand automation in a managed and thoughtful manner and not just as a series of separate projects. With this in mind, it is useful to plan and work in concert with business-led, end-to-end process improvement initiatives. Plan for transformation. Change Management is key for any RPA implementation. Considerations should include changes to job design, roles, capabilities and skills required. Conduct a pilot to demonstrate and prove out your RPA thesis of value. This can be helpful for understanding the effort required to program and run the tool and the impact on resources. Once your organization has begun a RPA implementation, it’s essential to show ROI beyond cost savings to ensure you gain buy-in from both executives and employees for future projects. You can do so by identifying and quantifying opportunities for how RPA can be used in revenue-generating activities in addition to cost-saving or compliance activities. 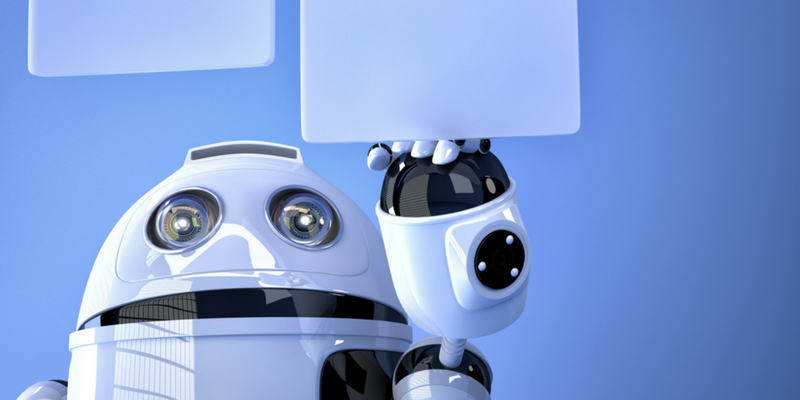 Don't just focus on RPA’s ability to reduce labor costs as its only benefit. Carefully set expectations of what the tools can do and how your organization can use them to support automation in an overall digital transformation strategy. You also can identify other processes that touch multiple systems across the enterprise that could benefit from a nonintrusive approach to automation. Evaluate RPA opportunities where you have people acting as "swivel chair integration" — rekeying data between systems — and where they’re performing work that involves structured, digitalized data processed by predefined rules. This analysis forms the basis for your enterprise automation roadmap. Lastly, identify alternative existing tools or services which have most of your required functionality at a suitable price point and evaluate these solutions in parallel with RPA, or as a hybrid solution. Also keep an eye on future artificial-intelligence-based options to ensure your organization chooses the right technology for each future automation project! As always, please reach out if you have questions, comments or concerns about RPA. We appreciate your feedback!